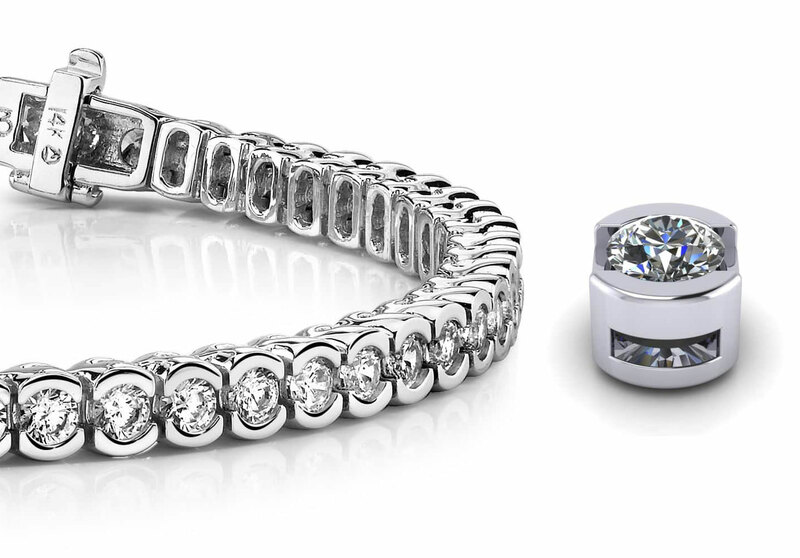 Total Carat Weight: 5.29 ct.
A fabulous bracelet that you can truly customize! 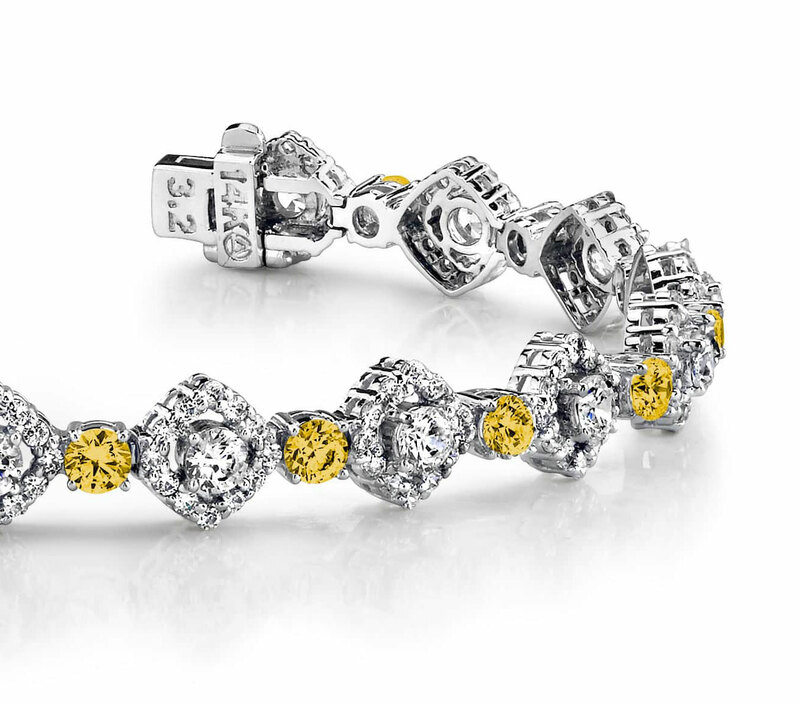 This beautiful bracelet features diamonds and gemstones. 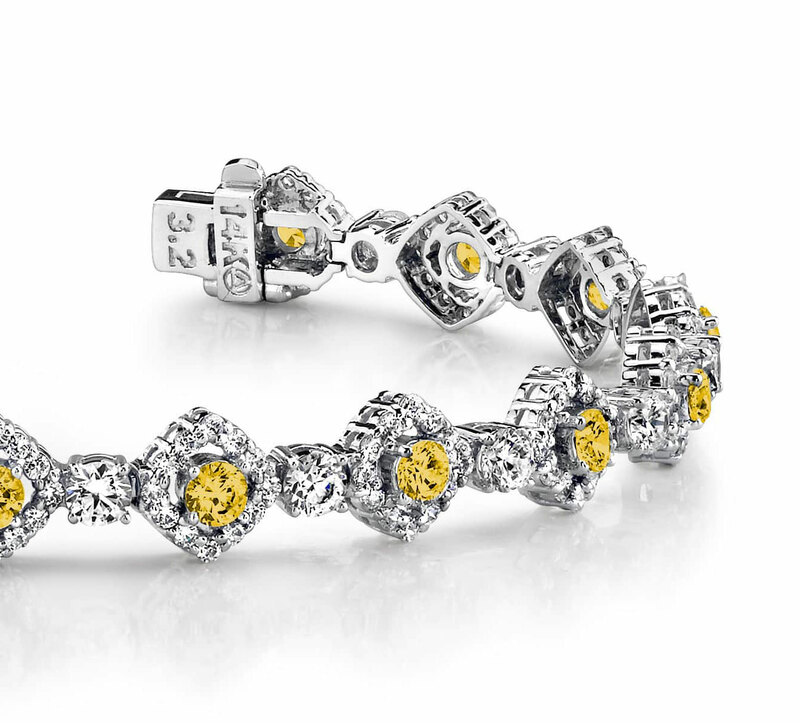 The gemstones sit between each square link that is surrounded with beautiful diamonds all around it. 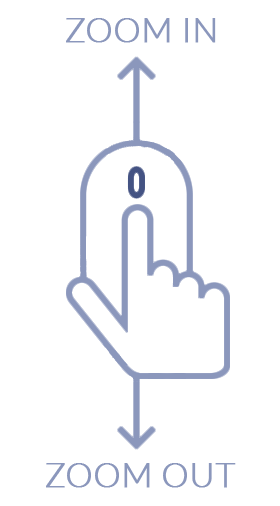 We allow you to customize the type of gemstone that is set in the smaller links and the quality of the diamonds. You can also choose either gold or platinum. Talk about options! 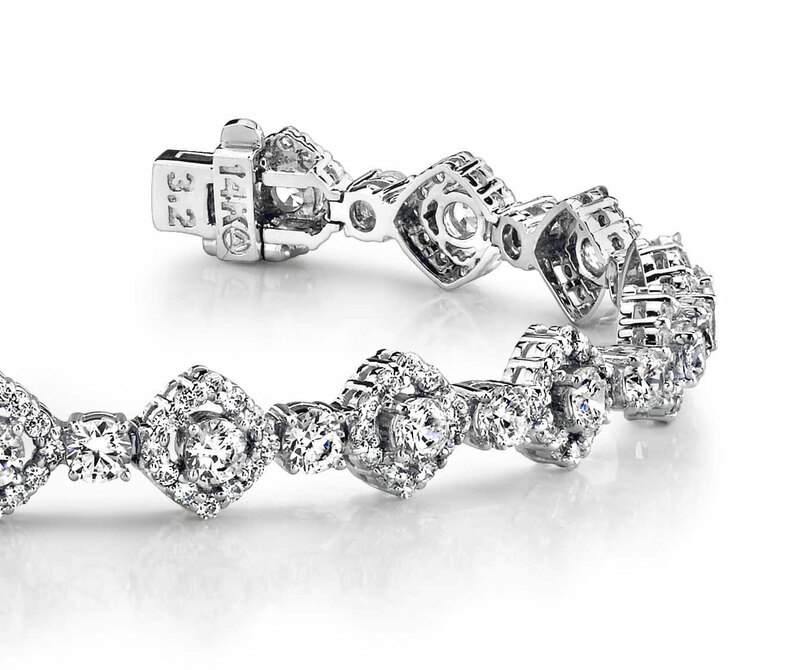 This piece is available in 3 different sizes, so go on, play designer with this wonderful bracelet today! Model Carat Weight: 5.29 ct. Effective Carat Weight: 5.29 ct.
Stone Carat Weight: 216X0.012 ct., 18X0.075 ct., 18X0.075 ct.